At Market Square Bakehouse, we believe good coffee brings communities together. Located in the heart of downtown Amesbury, Massachusetts, since 2014, we are pleased to be a part of the North Shore cafe scene. 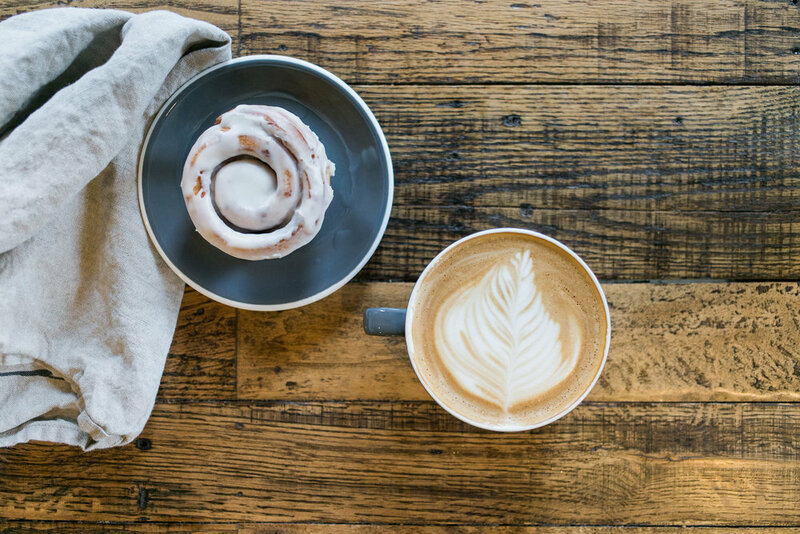 Our focus as a specialty coffeehouse & bakery is to provide the community with quality, whether that be drinks made with exceptional third-wave coffee or hearty pastries that will nourish your spirits. Open seven days a week, we’re here for whatever you need, from espresso drinks to cold brew, iced tea to kombucha on tap, seasonal paninis to fresh soups and salads. Come visit us sometime for grab-and-go or a coffee enjoyed on our patio with a good friend. We look forward to seeing you! Your coffee break should be the best part of your day. Coffee should be more than just a vehicle for caffeine. When prepared with care & a precise eye, coffee and espresso can make for a delightful, flavorful experience. That’s why we are committed to providing our community with local coffee shop that cares first and foremost about coffee. For this reason, we have stocked our cafe with specialty coffee & tea brands we trust & love: Counter Culture Coffee (Durham, NC), Kaha Coffee Roasters (Amesbury, MA), and White Heron Tea (Portsmouth, NH). As third-wave coffee roasters come, we love both Counter Culture & Kaha Coffee Roasters for their sustainability and transparency, advocating for the farmers and regions in which their coffees are grown. Expect rich, wonderfully complex coffees to be served when grinding & brewing their beans in our cafe. And if you’re looking for the best coffee to brew at home, we’ve got freshly roasted retail bags of blended & single-origin coffees available from both roasters. White Heron’s organic micro-roastery is something else to celebrate, as their fresh teas make for vibrant drinks, whether prepared hot or iced. With numerous styles of their black, green & herbal teas to choose from, there’s something for every tea lover to enjoy. So stop in for a mocha, single-origin drip coffee or matcha latte sometime! We promise you’ll be satisfied with whatever you’re sipping on. Great food is made with a few quality ingredients & an attention to detail. It’s made even better when shared with those you love. Breakfast and lunch should feel less like a rushed necessity & more like an act of self-care. We’re committed to crafting each of our menu items with this in mind at Market Square Bakehouse. Starting with organic and locally sourced ingredients, we create food that is simple, savory & can be enjoyed either alone or with close friends & family. Whether you choose an egg, bacon & cheese breakfast wrap, a frosted wild blueberry scone, or one of our numerous, mouthwatering paninis, we hope you savor your meal from the first bite to the last. Our menu is always evolving depending on product availability, season & other factors. While not everything on the menu below will be available every day, it will give you a good idea of the kinds of food we offer! If you’re worried about availability on any given day, feel free to give us a call to check ahead of time.